The story is about the perfect family The Pollocks. John and Florence Pollock led a normal family life in Hexham, England with their two daughters Jacqueline, 6 year-old and Joanna, 11 year-old. On 5th May 1957, Jacqueline and Joanna died in a car accident. They were on their way to the church with a family friend. The parents were badly affected by the tragedy. John prayed and hoped his daughters would come back. The following year Florence was pregnant. John strongly believed that his daughters were coming back and his wife was going to give birth to two girls. On 4th October 1958 Florence gave birth to two twins. The couple named them Gillian and Jennifer. The girls were identical twins, but had different birthmarks. Jennifer had a mark on her forehead same as Jacqueline’s scar on the forehead. She also had a birthmark on her waist that even Jacqueline had. Though they were identical twins Gillian did not have these marks. When the twins were three months old the family moved to Whitley Bay. 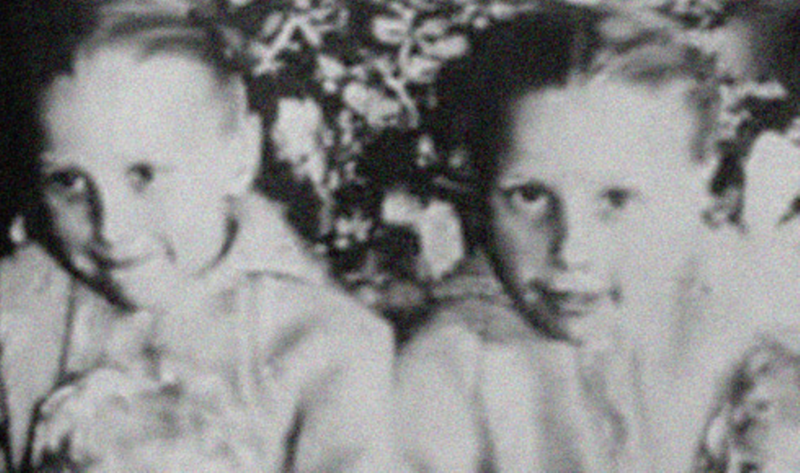 When the twins were two, they started asking for toys which had once owned by Jacqueline and Joanna. The girls had never seen those toys before. The family then returned to Hexham when the twins were four years old. The twins had no knowledge about their elder sisters. In Hexman, the girls recognized the places they had never seen before. Pointing out to a school they said it was their school and they had played in the playground behind it. The school was the one Jacqueline and Joanna had attended. The couple gave Gillian and Jennifer old toys from the house. The twins were unaware that the toys belonged to their elder sisters. The twins recognized the toys and even correctly named them, the names which Jacqueline and Joanna had given. The couple then noticed their girls playing a different game. Jennifer would lie on the floor and would rest her head on Gillian. Then Gillian would tell Jennifer that the blood was coming from her eye because the car had hit her there. After a month the girls suddenly started getting hysterical on seeing passing cars. They would scream on seeing a car “The car is coming to get us”, they would say. When the girls were five years old their memories suddenly vanished. The lived normal lives later. Dr. Ian Stevenson, a psychologist then studied this case. Stevenson was surprised to see that the identical twins had different birthmarks. He also noted that the twins had taken the behaviors of the dead sisters. Jennifer was codependent on her sister Gillian in the same way as Jacqueline was on her sister Joanna. Stevenson followed this family from 1964 until 1985. He believed it to be a true case of reincarnation on finding many similarities between Jennifer and Jacqueline and Gillian and Joanna. After reading this, we again think Is Reincarnation True? ?